I have decided to make a few efforts here concerning the blogs I have. Today, Jan 13th, I added my 2 main blogs (UJ Space A Info and this one) to Google +. I don’t even know that much about Google + and frankly it seems a bit scary. I’m wondering if I have bitten off more than I can chew but, being a fat guy, that doesn’t keep me from eating. In addition to that, I also started a Space A community in Google +. 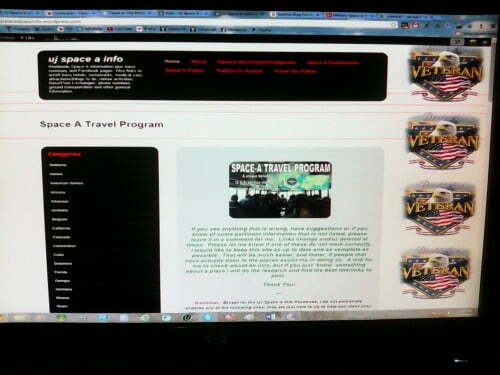 I ‘think’ this is the correct link (Military Space A Travel Community). I know so little about Google + that I’m not even sure that is right. If you try it, let me know please if it is correct. I’m thinking about adding another one of mine to Google +. The one that has some of my stories and poems in it (UJ Poems and Stories) and will probably get around to that pretty soon. Most everything in that blog is original. All the poems are for sure. Some of the stories are completely mine, but on a few of them I quote other sources quite often. Actually the ones that have a lot of quotes and links I just started added to this blog. I had them in a completely separate blog, but then figured that they were all stories and it was also easier to maintain with less blogs to mess with. In addition to this, the UJ Space A Info blog I also added to Blog Top Sites, Top Blogs, Expats Blog and Blog Log. Lets take a look at how they are doing. I’m kind of curious now. Texan in the Philippines is #15 in Personal. I would like to be in the top 10. I think I know of a way to help out a little bit, but if you know a secret about such thing and would like to share, I’m willing to listen. UJ Space A Info is #50 in Travel (pretty good I think since I just recently added it and there are like thousands of blogs in there). Texan in the Philippines is #4 in the Philippine section (right behind Retired in Samar by Randy Landis). We are the only 2 that have listed blogs for Calbayog City. I’ll have to try to find a way to jump ahead of him. UJ Space A – I can’t seem to find it. Maybe it never got added. I’ll have to check on that after I’m done here. Texan in the Philippines is #45 in the Personal blogs. I feel a bit bad about this one because it’s behind a blog called “My Mother F**ked Mick Jagger”. I really need to find a way to get ahead of that one. I’m shooting for the top 10 anyway. UJ Space A is #54 in the Travel blog. Again, pretty good for not being in there for very long and there being thousands of entries. I’d still like to be in the top 10 though. UJ Space A # 231 in the Travel and Leisure section and #2199 overall. Both of these really need for something to happen. Of course this is the site that has the most blogs submitted. Anyway this is want I have done recently to try to get my blogs more widely recognized. I’m hoping to get the UJ Space A Info site off the free WordPress and give some ads also. I’m hoping that can be accomplished soon. I’m doing all this with Google + because from what I hear: Google loves Google. Meaning the more I have my posts in Google things, the higher they will put them on their page and ‘hopefully’ the more recognized they will get. When I started this post I wasn’t going to just write about this, but that’s how it turned out. I will get the regular blog out probably tomorrow, but maybe later. Time for supper now.